When a Celtic god's murder leads to a war between the fairy folk and a possible breach between worlds, Wonder Woman must find the murderer and keep the peace while Batman investigates strange occurrences in Gotham City. As Diana must turn to the World's Greatest Detective for help, the two heroes quickly learn their cases may be connected. In a world where the normal rules of investigation don't apply and any clue can be obscured by charms and magic, the two Justice Leaguers must rely on each other to uncover a murder someone is trying to hide. 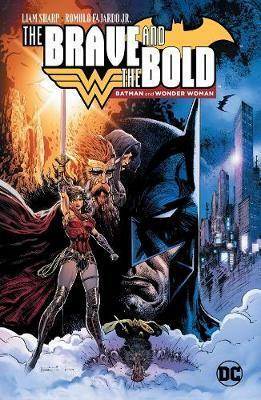 Beautifully rendered by master storyteller Liam Sharp, The Brave And The Bold- Batman And Wonder Woman is a fantastic new standalone story featuring two of the worlds' greatest heroes! Collects issues #1-6.